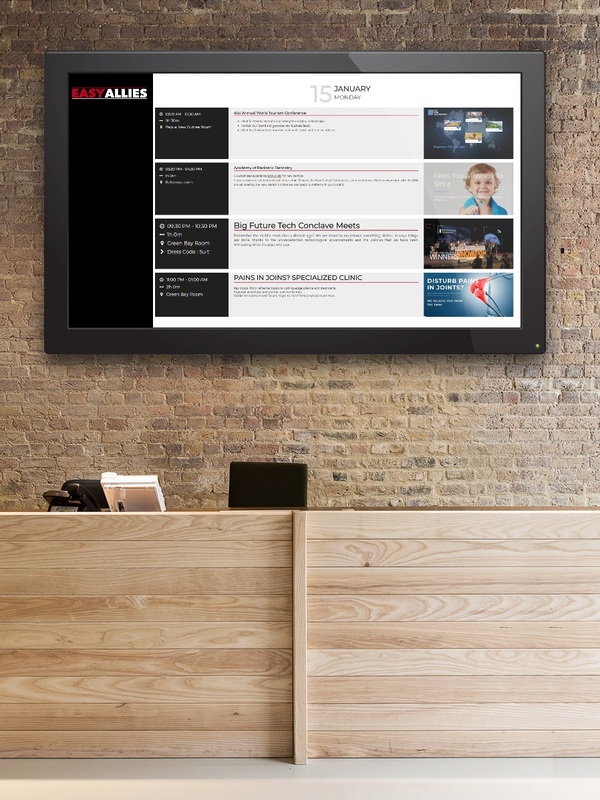 koonference is a suite of hardware independent, interactive, and cloud managed conference room displays solution. 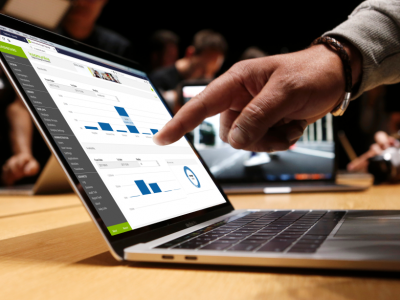 Dynamically display events in one or multiple rooms. Choose what to display: schedule, duration, location, title, description, event image, and additional information. Fine-grained style customization for past, current and next events. koonference is for all types of organizations like hotels, start-ups, multi-nationals, municipalities, hospitals, etc. If you have meeting rooms, koonference will help you to enhance your brand image, reduce costs, increase efficiency. Integrates with google calendar but you don’t need to change anything on your account to get it working. Create a calendar per each display. That’s all there is to it. 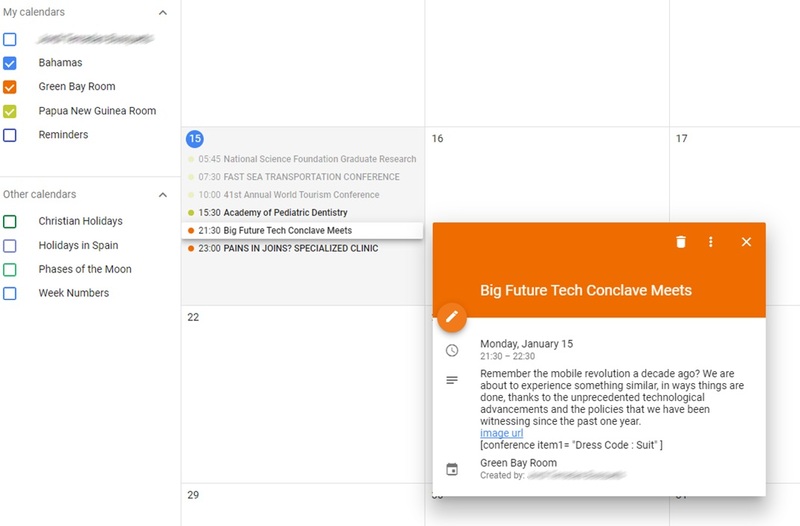 koonference talks to google calendar and reports. Being hardware agnostic, koonference can be used in small or big screens, mounted vertical or horizontal, at the room door or in common areas. 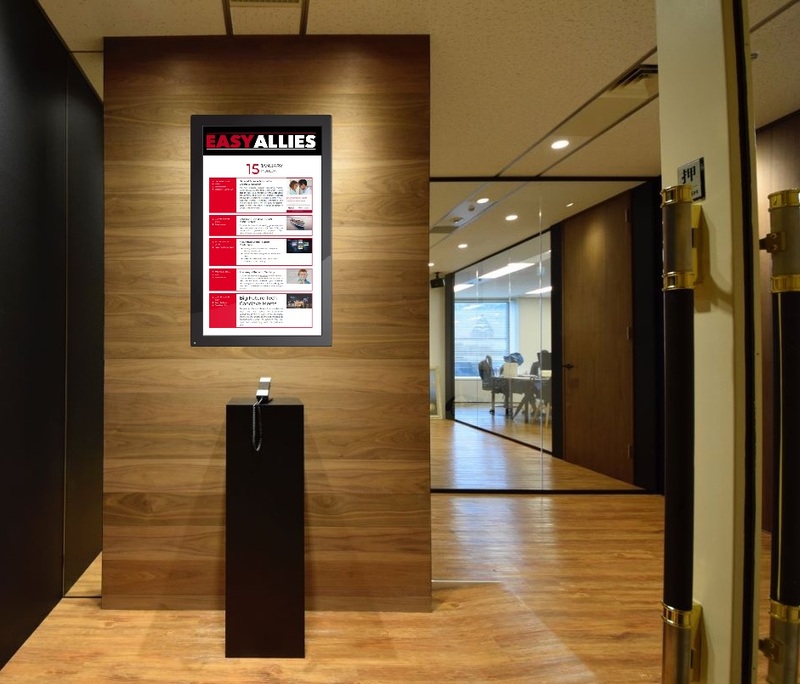 When used in common areas, it can display the events in all particular conference rooms within the facilities. 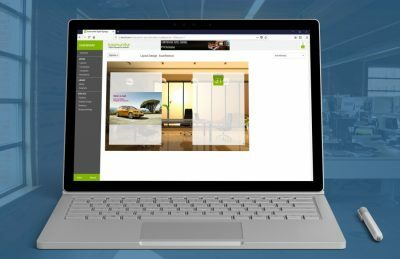 It can also integrate any other information, as floor plans, corporate information, RSS news, etc. Big or Small displays screen. Different styles for past, current and next events, including colors, information to display and position, color or B/W images, etc. Schedule and information on the left cell, or below description, and much more customization styles. Everything is customizable. Your imagination is the only limit… or you can borrow our fantastic designers’ imaginations. 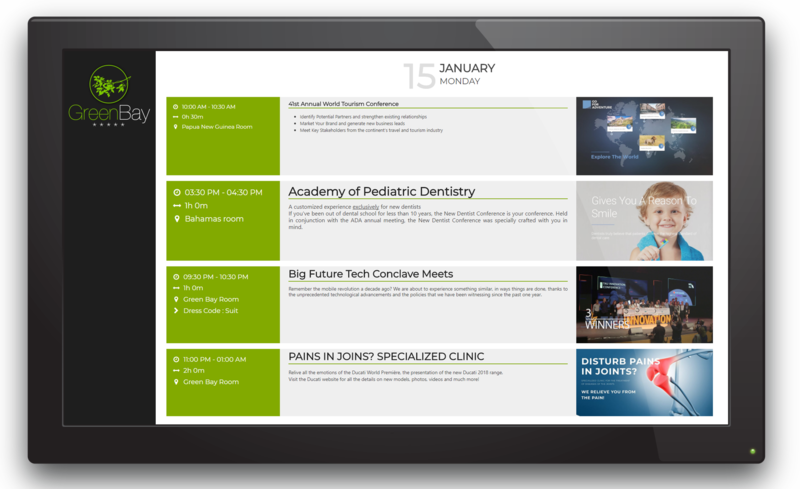 Offer visitors a quick, easy-to-use and convenient way to reach the event room. Include “You are here” spot – to indicates visitor’s current location. Near lifts, stairs, and escalators. koonference allows appearance fully customization. Free to customize layouts, colors, size, backgrounds, custom logo, and… yes, multiple calendars in a single display too. The next image example shows some of the available options. 2 Main Calendar. Set to show current event full information and image. 5 Video. Play a video file or live TV program. 6 Second Calendar. Set to display only title, schedule, location, and information for all the events to take place today. 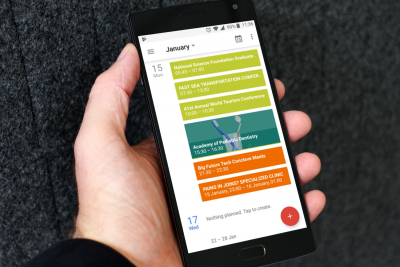 Manage Calendar using your google account. koonference allows combining calendar events with any koomunika content type. See koomunika product page for more information on available content.